Offering you a complete choice of products which include refrigerated type dryer, heatless adsorption type dryer and screw air compressor. Cooling is the simplest and most positive way of removing moisture from compressed Air. A Refrigerated Dryer has closed-loop Freon circuit, which cools compressed air to a controlled temperature and so condensed moisture is separated out. To prevent freezing of condensed moisture in the heat exchanger, Air/Gas, can be cooled to a minimum temperature of +2-3°C approx i.e. Water or Moisture in the compressed air system causes air leakages, damages tools systems and ultimately increases cost. Rust and scale deposit in steel pipes causes leakages, increase resistance to flow. Malfunctioning of pressure control equipment & instrumentation. Corrosion in Solenoid valves & Pneumatic cylinders. Solidification of media in pneumatic conveying systems. Bubbling or orange peal effect in paint spraying & powder coating. Sluggish operation of cylinder, valves & other moving parts. This results in loss of efficiency & material and increases downtime. Moisture is usually the single major cause of unnecessary costs to compressed air system. The cost of drying air is much lower than the damage. 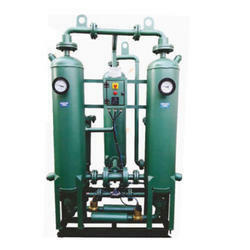 Thus clean, dry compressed air produced using air Dryer is essential. Dew point is the measure of moisture content in air. It is the temperature at which moisture content present in the air, starts condensing. Lower the dew point, more dry is the air”. Air of (-) 40°C Dew Point means no moisture would condense unless temperature of the compressed air is reduced less than (-) 40°C. 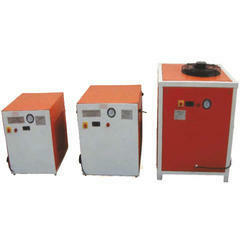 Lower the Dew Point, higher would be the operating cost of Air Dryer. Hence proper selection of Dew point is very important for economical operation of the unit. Fully automatic push button start equipment. No operator required. Dew Point up to (-) 80°C can be achieved. Soft Seated imported control valves used for bubble tight shut down. Gradual depressurisation and repressurisation prevents bed attrition. Epoxy coated towers from inside. Stainless steel desiccant support screen inside tower. Low-pressure drop of 2 Psig only. Fabricated as per ASME sec. VIII, Div-1 or IS 2825 codes. Units fully tested before despatch. Quality product, only quality components used. Suited up to 5000 Nm3/hr: Suited for more than 300 Nm3/hr. (-) 40°C dew point: (-) 70°C dew point. Fully automatic: No external heat reqd. Dew point required / Application. 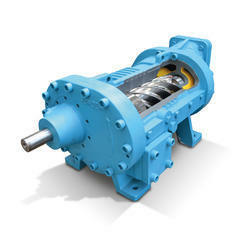 Type of compressor - Lubricated / non-lubricated. Looking for “Compressed Air Dryers”?